Weed contamination of crop seed has been a major source of introductions at all scales from continents to individual fields. Weed seeds are still regularly transported between countries in seed shipments (Tasrif et al., 1991; Huelma, Moody & Mew, 1996). Probably the only effective method for preventing this is inspection of large samples from every international shipment (Tasrif et al., 1991). This could be facilitated by computer visualization procedures that identify contaminated samples. Improved seed-cleaning techniques and seed certification programs have greatly reduced the spread of weeds between farms in some regions, and have led to the near elimination of some weed species (Salisbury, 1961). However, even in developed countries, some growers still plant contaminated seed (Tonkin, 1982; Dewey, Thill & Foote, 1985; Dewey & Whitesides, 1990), and this is the norm in most developing countries. For example, Rao & Moody (1990) found an average of 3800 weed seeds per kg (17 species) after rice was processed by farmers in the Philippines, and 660 seeds per kg (15 species) after local commercial cleaning. Use of contaminated seed guarantees that the worst weeds will become ubiquitous throughout all the fields of a farm, and leads to spread between farms when seed is traded. In addition to mechanical cleaning, the propagation of weeds with crop seed can be greatly reduced by reserving one field or part of a field for production of next year's seed, and weeding this area intensively. This reflects the approach used to produce certified seed (Wellington, 1960), but may be more cost-effective than purchasing certified seed for many growers in both developed and developing countries. Weed seeds may be moved to previously uninfested fields by application of manure. Mt. Pleasant & Schlather (1994) found a total of 13 grass and 35 broadleaf species in manure samples taken from 26 New York dairy farms. On most farms, the density of weed seeds in the manure was too low to signifi cantly change seed density in the soil, but they concluded that manure did have a potential for spreading weeds. In particular, Abutilón theophrasti was probably introduced onto many New York farms during the last 30 years in contaminated feed, and then spread from field to field in manure once it had established. Weed density in manure may be greater in less-developed countries where animals are regularly grazed on weedy stubble after crop harvest. Dastgheib (1989) estimated that farmers in Iran were sowing nearly 10 million weed seeds per hectare per year with the sheep manure used to fertilize a wheat/paddy rice double-cropping system. Mack (1981) documented the spread of Bromus tectorum in western North America. From a few initial introductions, probably in contaminated wheat seed, the weed first spread along rail lines and cattle trails, and then outward from these corridors to become a dominant species on much of the rangeland between the Cascade-Sierra Nevada and Rocky Mountains. Apparently, disposal of manure and bedding from cattle cars was particularly effective in creating secondary points of introduction. Since cattle are today often raised in one location, finished in another, and slaughtered at a third, the potential for spread of weeds during cattle transport remains large. Several strategies can be used to reduce the risk of spreading weeds with manure. One is use of clean concentrates and fodder. Seeds cannot occur in the manure unless they are first present in the feed. Intensive pasture management can prevent weeds from going to seed (Chapter 9) (Sharrow & Mosher, 1982; Popay & Field, 1996). Mowing is also effective in this regard. At the very least, mill screenings should not be fed to animals unless they are first heat-treated to kill weed seeds. Ensiling is highly effective at killing seeds of most weed species (Zahnley & Fitch, 1941; Takabayashi, Kubota & Abe, 1979; Blackshaw & Rode, 1991). Consequently, ensiling forage that is contaminated with a problem weed may be preferable to direct feeding. However, a substantial percentage of Abutilon theophrasti, Convolvulus arvensis, and Polygonum convolvulus seeds can survive ensiling (Zahnley & Fitch, 1941; Blackshaw & Rode, 1991). High-temperature composting, anaerobic fermentation, or oven drying can greatly reduce the number of viable weed seeds in manure (Kirk & Courtney, 1972; Takabayashi, Kubota & Abe, 1979; Bloemhard et al., 1992; Sarapatka, Holub & Lhotská, 1993; Tompkins, Chaw & Abiola, 1998). However, the outside of a compost pile will not heat sufficiently to kill seeds, so simply piling the manure for a few weeks without turning may leave high densities of viable seeds (Cudney et al., 1992). Finally, manure from off the farm should be evaluated for weed seeds before transport. Weed species adapted to cling to animal fur may be transported thousands of kilometers in raw wool, and then dispersed with textile wastes. Several hundred species have apparently been introduced into Britain by this route (Dony, 1953; Salisbury, 1961), although many never became naturalized. Weeds probably also move in raw cotton. However, this remains to be documented, and the problem is likely smaller than with wool since cotton fields often have fewer weed species than sheep pastures. The recent rapid shift of the textile industry from developed to developing countries is probably providing new opportunities for weed introductions in raw fiber. In addition to inspection and quarantine measures, introductions of weeds with textile raw materials can be curtailed by heat treatment or high-temperature composting ofwastes prior to application to land. 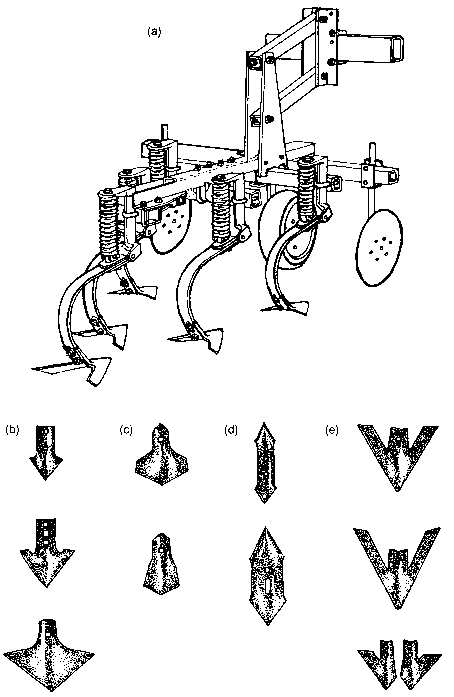 Tillage machinery moves few seeds further than three meters within a field and moves most seeds only a meter or less (Howard et al., 1991; Rew, Froud-Williams & Boatman, 1996; Rew & Cussans, 1997; Mayer, Albrecht & Pfadenhauer, 1998). However, the few seeds that are carried long distances can form foci from which the weed can spread in future years. Roots, rhizomes, and tubers of wandering perennials can catch on the shanks of tine implements, particularly once the soil is loosened by primary tillage. Although most fragments do not move far, the few that do can spread an infestation over large areas in a single tillage operation (Schippers et al., 1993). Few studies have quantitatively examined potential between-field movement of seeds in soil on tires and machinery. Schmidt (1989) observed over 3900 seedlings of 124 species emerging in the soil scraped from an automobile that had been used for field research in Germany. Mayer, Albrecht & Pfadenhauer (1998) found that seeds were moved between fields on tractor tires and a rotary tiller, but not by a plow, rotary harrow, or heavy cultivator. In their experiment, the equipment passed through 25 m of clean soil after encounter with the seeds. (Marshall, 1989; Wilson & Aebischer, 1995), and (iii) tractor tires can pick up surface-lying seeds from along the field border as they leave. Consequently, seed movement in soil is probably the source of many new weed infestations, particularly of nearby fields. Nevertheless, the risk will usually be small until the weed becomes dense in the potential source field. Movement of vegetative propagules with soil on farm machinery is probably the major method of spread for some species that do not produce viable seeds (e.g., Panicum repens -Wilcut et al., 1988). Several studies on movement of weed seeds by combine harvesters indicate that most seeds are deposited within 10 m of the source but that some are dispersed as far as 50 m or more in the direction of travel (Ballare et al., 1987a; McCanny & Cavers, 1988; Howard et al., 1991; Ghersa et al., 1993; Rew, Froud-Williams & Boatman, 1996). Thus, combines can rapidly spread weeds throughout a field (Ballare et al., 1987b), with significant potential effects on crop yield (Maxwell & Ghersa, 1992). The spread of weeds between fields by combines is probably also frequent, and prudence indicates that a combine should be cleaned before it is moved into a new field. McCanny & Cavers (1988) found that more seeds lodged in the central divider assembly of the maize header than elsewhere on the combine, and that this could be effectively cleaned by vacuuming. Data on the spread of weeds between fields by combines are badly needed. An interesting study could be made by cleaning trapped seeds out of combines each night as a custom combining operation works its way north through the midwestern USA during grain harvest. Comparison of the weed species removed from the combine after harvesting a field with the flora of the next field on the schedule would indicate the likelihood of long-distance spread of species by this route. Seeds of most weed species can survive several months of immersion in fresh water (Comes, Bruns & Kelley, 1978), and most will float, particularly if chaff is retained on the seed, or if pieces of inflorescence fall onto the water. Consequently, many species of weed seeds disperse in irrigation water. Wilson (1980) found 77 species of weed seeds in samples of irrigation water in Nebraska, and Kelley & Bruns (1975) observed 77, 84, and 137 species in samples taken in eastern Washington in three years. In both studies, the density of seeds deposited was not sufficiently high to warrant concern, but the potential for introduction of new weed species to fields by irrigation water was substantial. Consequently, Kelley & Bruns (1975) recommended that irrigation water be screened to remove seeds. Both studies found that seed density in water increased as water traveled down canals with weedy banks. In contrast, Kelley & Bruns (1975) found no increase in seeds for water flowing in a canal whose banks were kept free of weeds by grazing, tillage, and burning. Thus, weed control on canal banks can reduce the dispersal of weeds into fields. 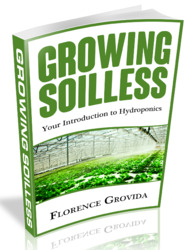 The many studies cited in the preceding sections largely agree that the density of weed propagules dispersing into an area is usually insufficient to create substantial competitive pressure against crops. Instead, weed populations appear to reach competitively effective densities primarily through local population growth. The central problem that human-facilitated weed dispersal poses for management is therefore the prevention of new infestations, including both the arrival of new species onto farms and the multiplication of foci for local population growth within fields. Consequently, from the farmer's perspective, movement of weeds that are already widespread on the farm can largely be ignored, and efforts instead concentrated on preventing the spread of particular weeds that are both competitive and currently absent from all or much of the farm. From the weed scientist's perspective, the key issue with weed dispersal is prevention of the spread of economically damaging species through the landscape. Surprisingly little research directly addresses this problem. Effectively preventing the spread of weeds probably requires region-wide co-ordination of education and containment efforts analogous to infectious disease control activities of public health agencies. This is discussed further in Chapter 10.